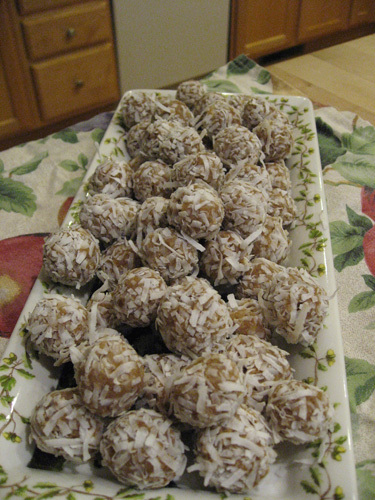 These are a very sophisticated treat with a mid eastern flair. 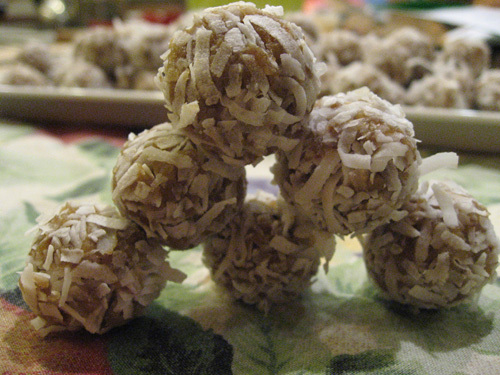 The dates and coconut blend well and provide an adult level of sweet. A unique and tasty treat! Steam tempeh for 20 min. Pulse tempeh in food processor. Add pieces of date paste and salt and process until a thick smooth paste develops. 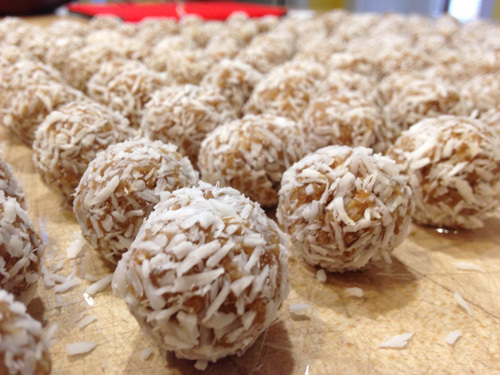 Form and drop small balls into coconut and roll into the finished balls. Refrigerate.